The Paragon Custom Neck Knife is a small dagger knife. 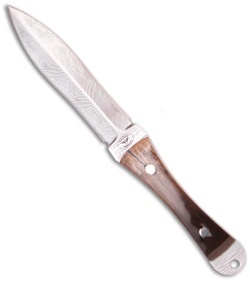 This fixed blade knife features 220 layer 15N20 1095 Damascus steel and mammoth ivory scales. The double-edge dagger blade has been hand ground by Shadow Knives. 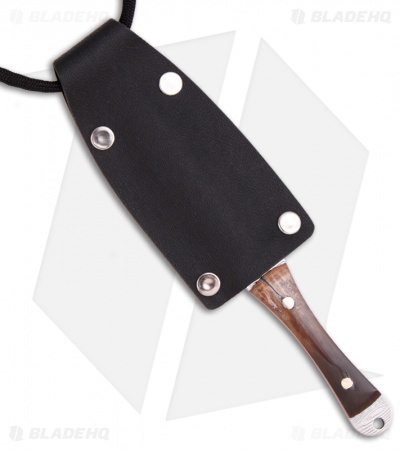 Includes a Kydex sheath with neck cord. This knife is just 1 of 8 knives made. Pictured above is the actual knife for sale!